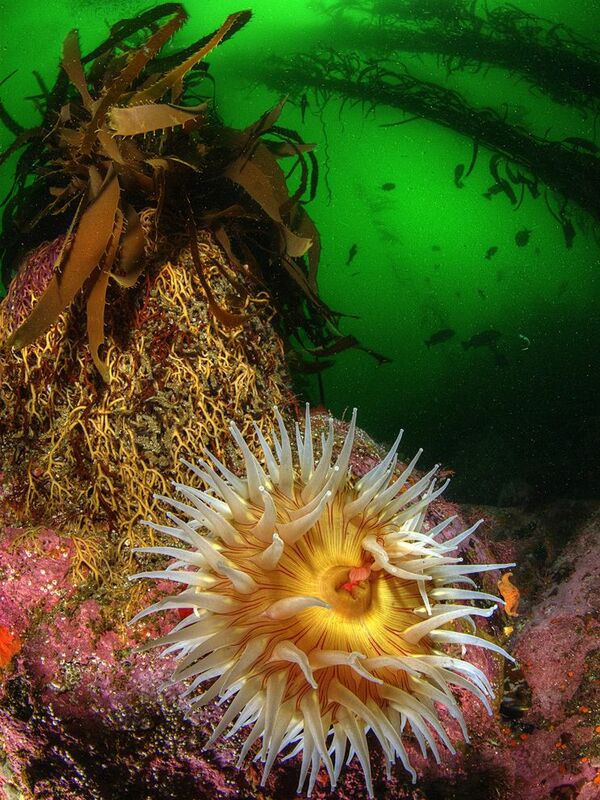 Photo: Ocean floor ecosystem with kelp, anenome, and fish. Seaweeds, including kelp, do not have roots. The gnarled structures attaching this giant seaweed to the rock is the kelp's holdfast. Kelp grow on rocky bottoms, not sandy shores. Their holdfasts are tangled to cling tightly to the rocky substrate.